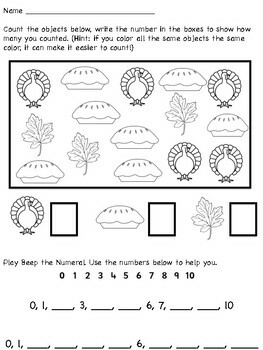 Count & color the Thanksgiving items. Write the corresponding numeral. Write in the missing numerals 0-10.